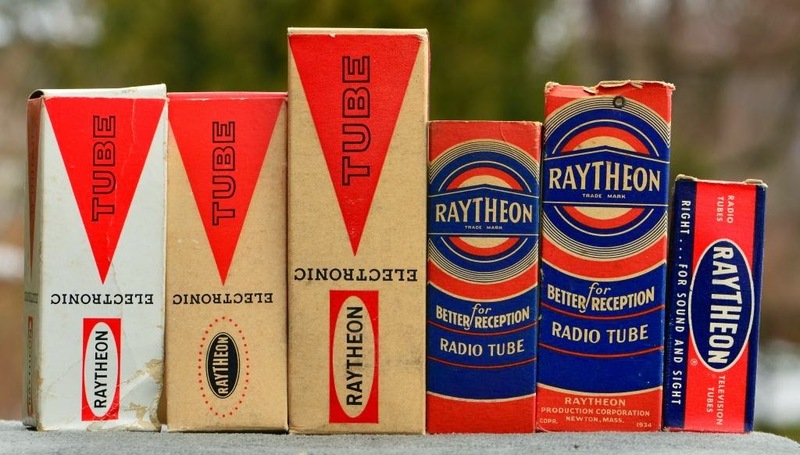 It's been a while since the last tube box art post. So here is a new one. 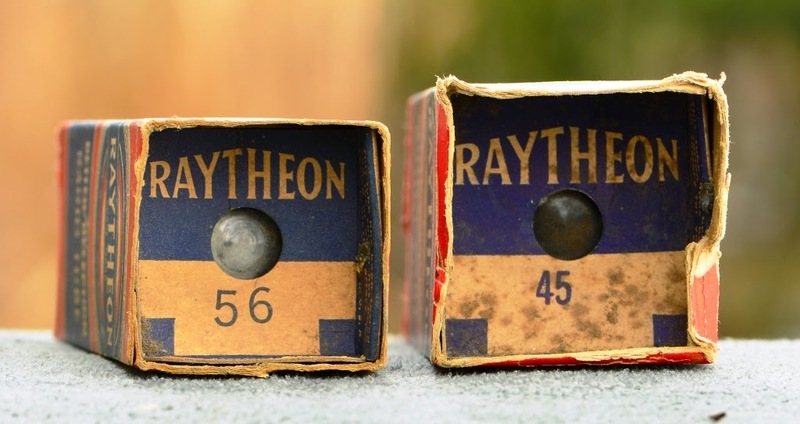 This time covering the tube boxes of Raytheon. 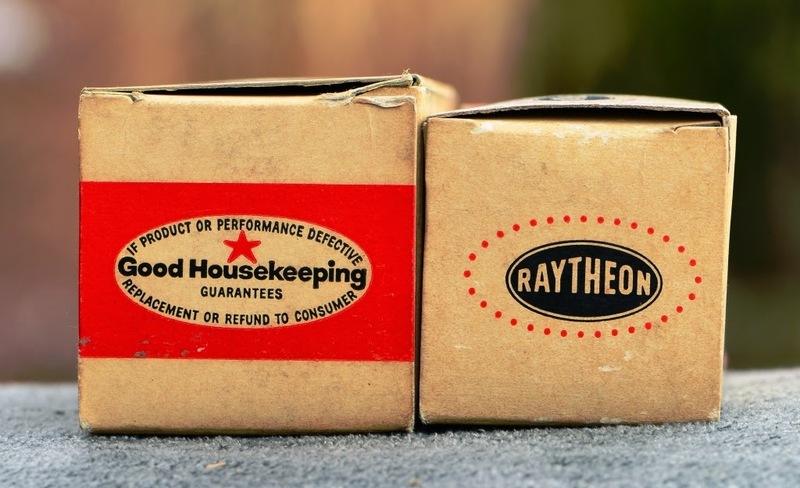 Raytheon has a long history spanning back more than 90 years. The company was founded 1922 under the name American Appliance Company and initially worked on refrigeration technology. 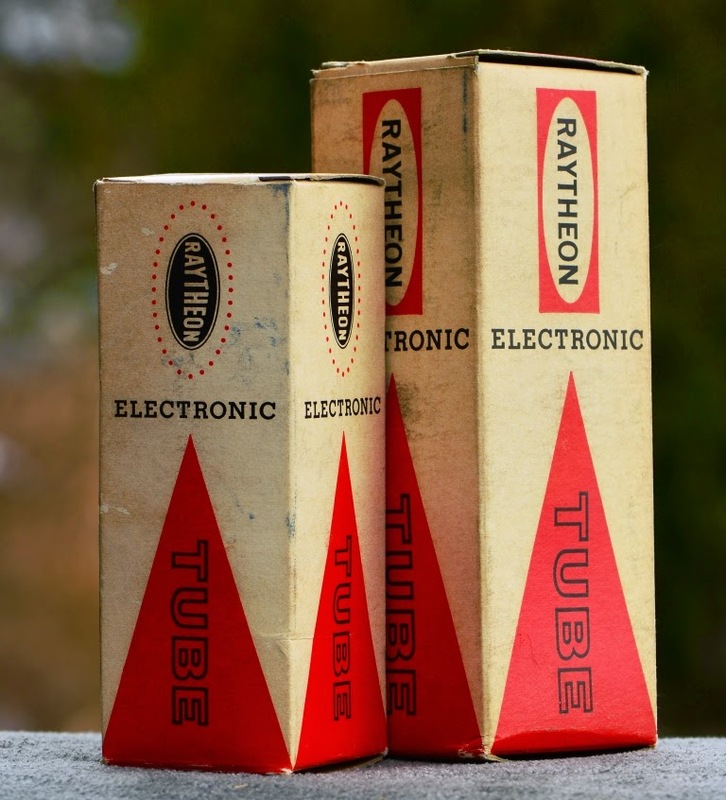 They got into the electron tube business with the development of rectifiers, which were an essential part in their 'battery eliminator' which enabled powering radio sets from the AC mains rather than from expensive batteries. 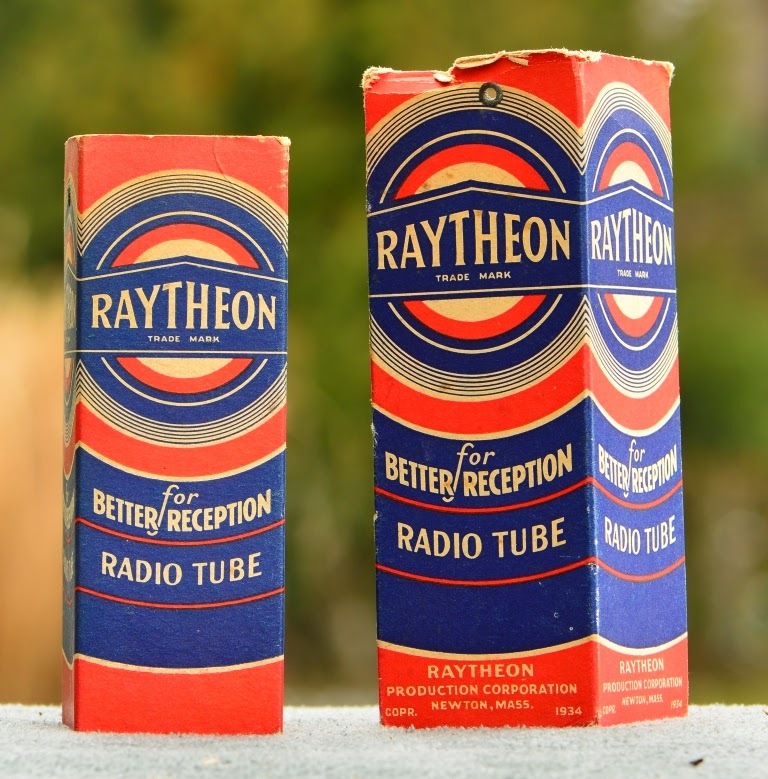 They marketed their tubes under the name Raytheon which means 'light from the gods'. 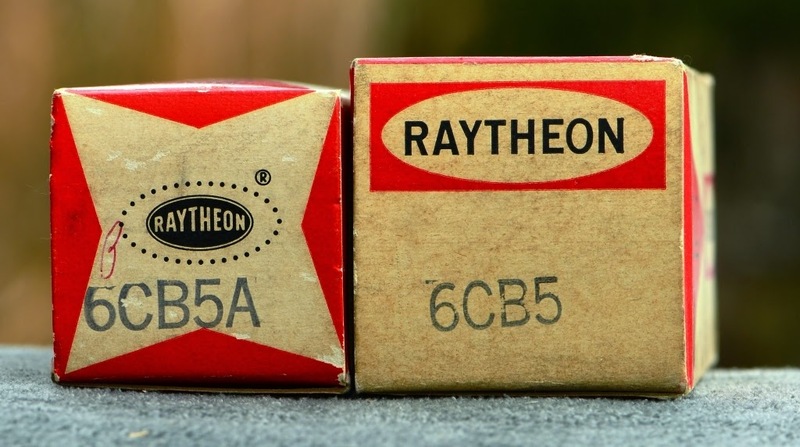 In 1925 they changed the name of the firm to Raytheon Manufacturing Company. 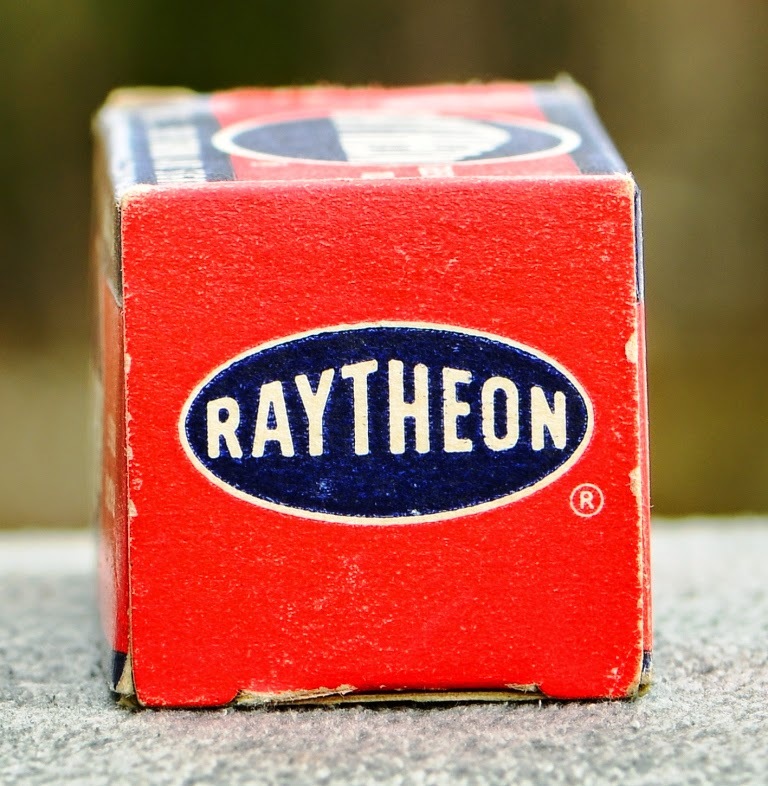 Raytheon was very successful and grew quickly and acquired other companies. 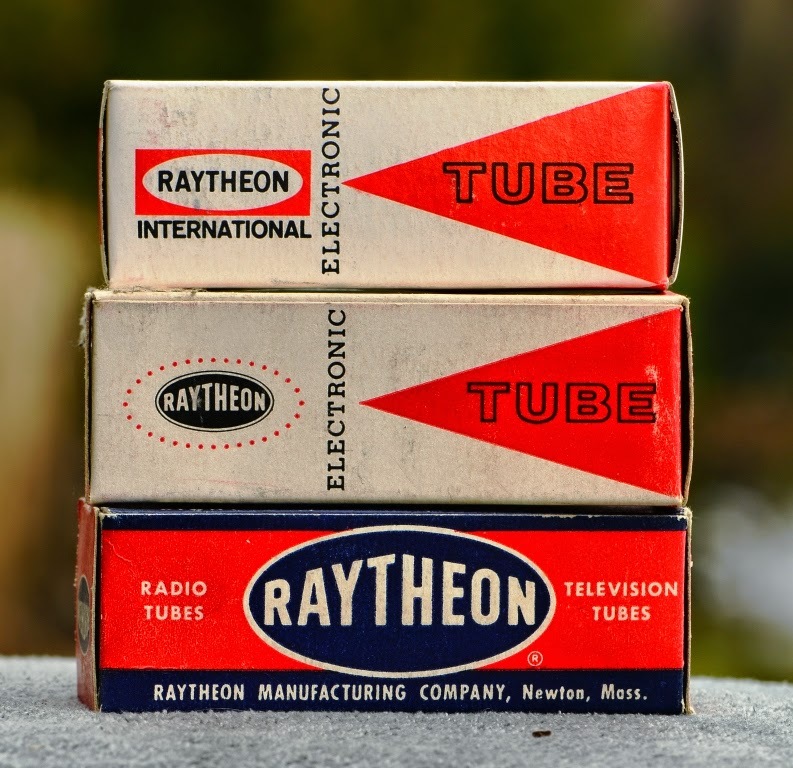 By the 1930ies they were among the largest tube manufacturers. 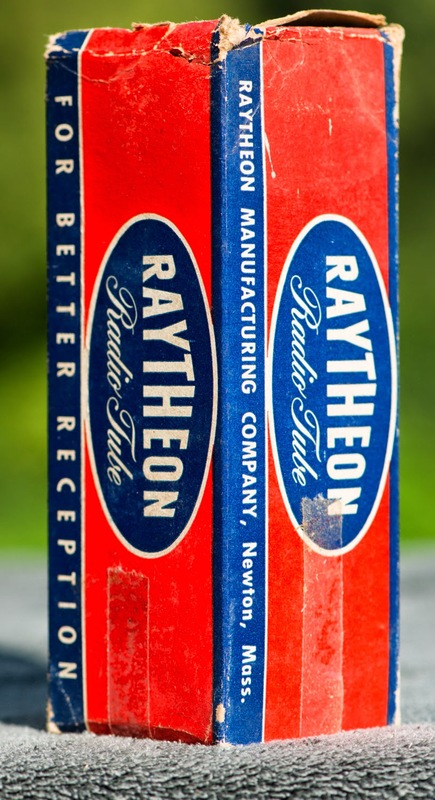 During World War II Raytheon got involved in developments for the military. The company diversified a lot throughout it's history. The company still exists and is now mainly working in aviation and Defense technology. They maintained the red/blue color scheme but the design got simpler. 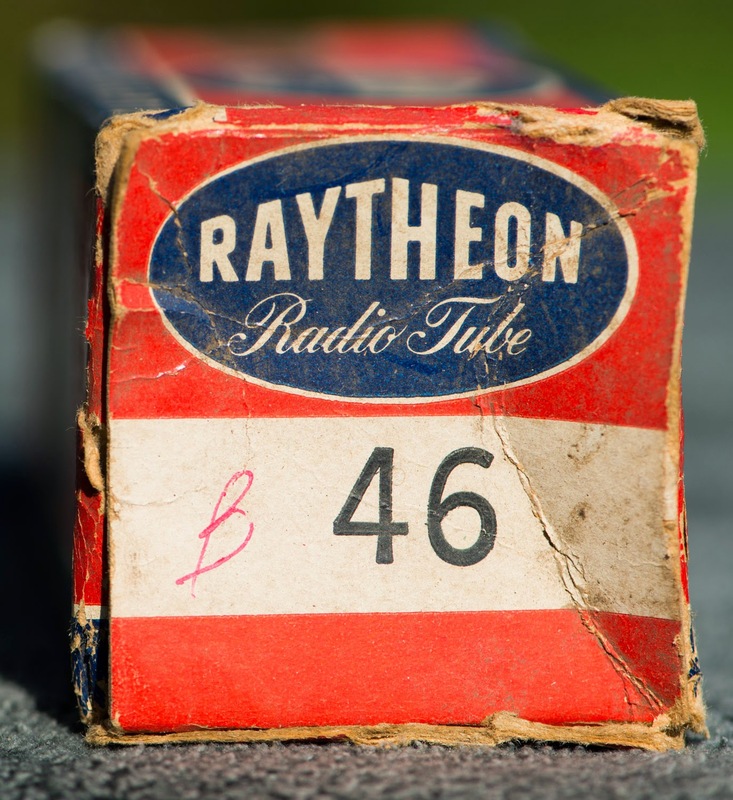 This is a box with a 46 tube. Stay tuned for more tube art posts coming up.